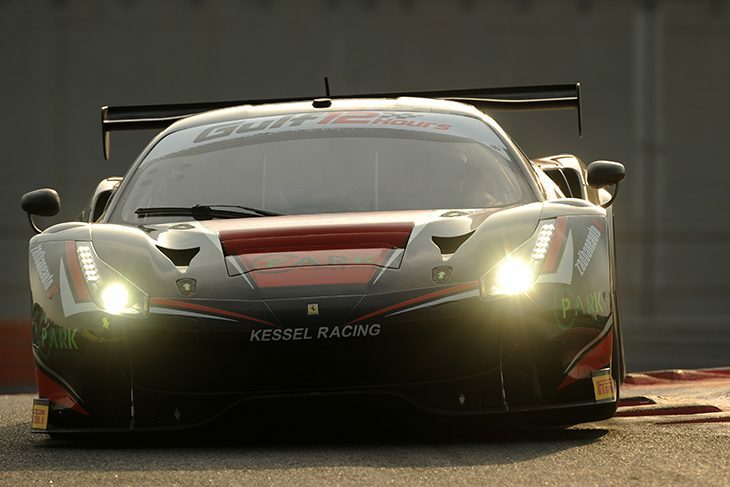 The 2015 Gulf 12 Hour-winning Kessel Racing Ferrari 488 of Michael Broniszewski, Giacomo Piccini and Davide Rigon will start the 2016 edition of the Middle Eastern endurance race tomorrow from pole position. The trio’s combined lap time was a 2:09.249 after the three sessions, with Davide Rigon setting the best individual time, a 2:09.249. Behind, the #24 Graff Ligier JSP3 will start second, and on pole in the Prototype division, after Eric Trouillet, Adrien Chila and Alexandre Cougnaud completed their laps. 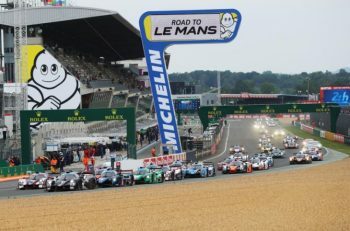 The 2:09.360 average from them was just a tenth off the Kessel Ferrari, and less than a tenth quicker than the sister Graff Ligier, the #5, which ended up third fastest. Early on in the session it looked as if GP Extreme would claim pole position, after Stuart Hall and Nicky Pastorelli set 2:09.294 and 2:09.458 laps respectively in the #16 Renault R.S.01. But Jordan Grogor couldn’t match his teammates’ pace in the third session, and the car slipped to fourth overall – crucially though, just second in GT. Rounding out the top five was the third fastest GT Pro car, the Dragon Racing Ferrari 488 of Matt Griffin, Nic Minassian and Rob Barff. Between them their aggregate time was a 2:09.620; Griffin though was unhappy with his time. 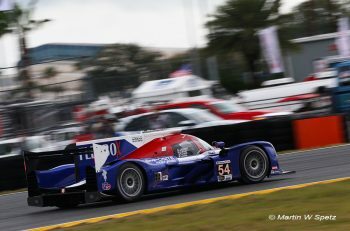 Sixth and seventh were the other two Ligier LMP3 prototypes entered in the race by United Autosports. The #22 will start ahead of the #23 after a late lap in the third session by Nico Rondet pushed the #22 down a place despite Alex Lynn’s 2:06.250 lap moments before, which was the quickest of all the drivers who took part. 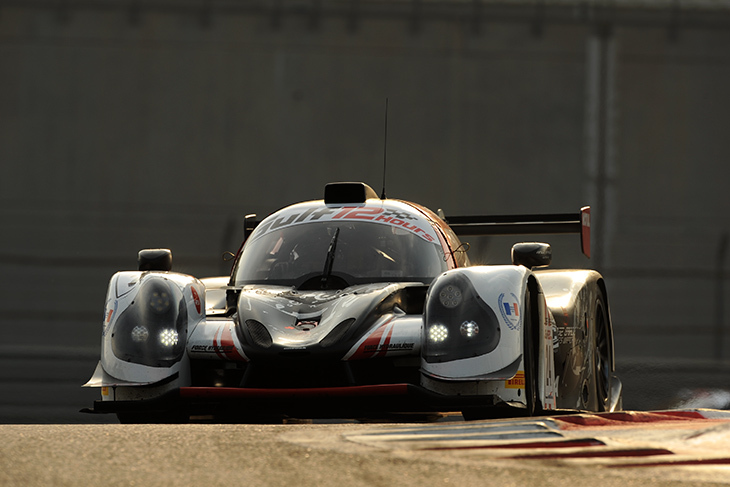 The #22’s combined time was a 2:10.045, seven tenths off the Prototype pole sitters. Leading the way in GT Pro Am was the #51 AF Corse Spirit of Race Ferrari 488, which will start from eighth, ahead of the Gent class pole sitters in the Herberth Motorsport Porsche which will start the race from 10th. 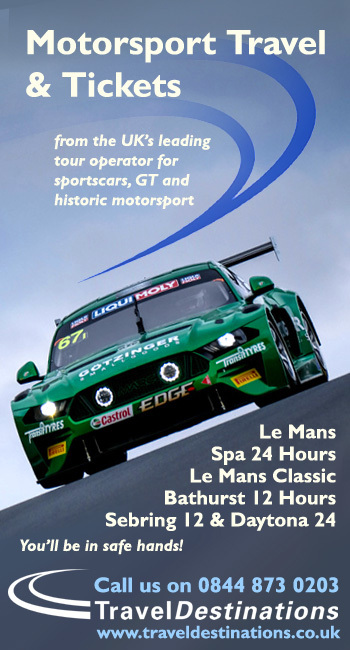 In the GTX category it was Generation AMR against Scuderia Villorba Corse as it was in the practice sessions. Coming out on top though was the #50 Villorba Corse Maserati MC GT4 of Patrick Zamparini, Piotr Chodzen and Antoni Chodzen with a time of 2:24.593, seven tenths quicker than the Generation Vantage. Starting third in GTX is set to be the #40 Brookspeed Porsche Cayman GT4 Clubsport, which was a further tenth back. 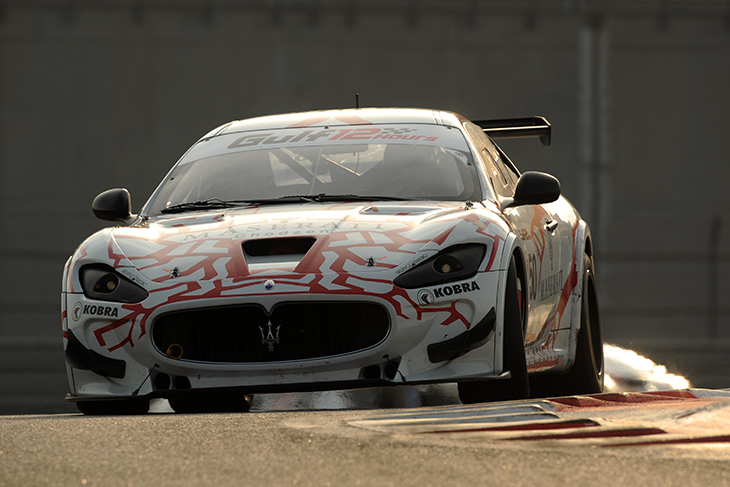 The sixth running of the Gulf 12 Hours – split in two parts – at the Yas Marina Circuit in Abu Dhabi is set to start at 09:30am local time in the United Arab Emirates.